Hi Jammers! Today There are 3 new items. The first one is the aviator hat. Wow! Such a cool item! It can be purchased in Jam-Mart Clothing. The second one is the rare freedom firework fountain. I will have to change my trading post trade list because it is not rare anymore. Also, remember to buy a bunch of theese, they will become really rare when freedom party finishes. And at last, a new underwater jellyfish lamp. Cool! But not much people have an underwater den now, don´t they? What do you think about theese items? New items and amirsaid scams? Part 2. Hi Jammers! There is a new item in the summer carnival. Cool. But isn´t the moon supposed to be really round? The other one is a cool octopus chair in kani kove. You can put it in your underwater den if you are a member. Here I am telling him that I recorded him. He seems happy because he sais he wants to be the best scammer in Jamaa. Here he tells us that he is not really the best scammer. In part, that prooves that he scams. So he has a master. So there is someone behind all scammers? Is KAILENNNN controling amirsaid and other scammers? Today I met a scammer. his user is amirsaid and he admited in Jamaa Township He scamed dxbcool 5 times and he also scammed Anna12´s wood floor. He started boasting that everything on his trade list had been scammed. Hi Jammers! Today the RIm got a muck-up! This is the RIM that is on stores. But in the daily explorer it´s freedom bands! 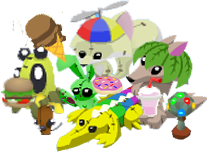 Animal jam is ofline so Probably they are fixing it. Here r some cool freedom items. if you have any of this items, say in a commen wich you have and get ready for thr freedom party! 2 new necklaces and a rug. The first one is a sand dollar. Cool! But sand dollars do not really seem something comfortable to wear on your neck. The second one is a memrmaid necklace. Both are cool but it would be better if they were no-member. Anyway, there is a new no-member rug. I really think Freedom Party is coming to Jamaa. What freedom rares do you think will be resold? The new item is a french beret! Cool! Maybe AJ is going to release different country items? I hope they make Egiptian things. That would look pretty cool! What items do you think may come next? Today there is a new item in the summer carnival. It´s the sun balloon. I find it cool and like the fact that it´s more animal-like than human-like. Sun balloon? Some of theese colours aren´t sun-like at all. What do you think? As you all know, every 2 weeks on thursdays AJ gets its update. Here is the new Jamaa Journal. Wow! I think all no-members are really happy. Maybe more member animals will become no-member soon? Another remembering that you can purchase a new membership card. Click here to purchase a hummingbird package for your account. And a riddle. I personaly think the awnser is chamaleon. Chamaleons are known for being able to change their colour to blend with their environment. It would be cool to have them in Jamaa. What do you think the awnser to this riddle is? The winner of the pet contest will be announced in the next update! I participated with a gecko. And now there is a new place were you can get a journey book prize. Its cool and will surely add a summer touch to your den. Yes, there are new Summer Carnival prizes. And I think I must buy some arcade machines before I run out of time! The monthly gift is cool. I got the mummy one. Also, more items are getting a rare tag. What I find mysterious is that there doesn´t seem to be any rare items for den. Maybe in a few weeks they will come? Also, I think the freedom party is coming to Jamaa! Maybe some cool freedom rares will be resold? 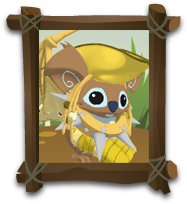 Here are some cool freedom decorations that can be found all over Jamaa. Also, a lot of new ( freedom) plushies can be purchased in the summer carnival. Cool! You can sit comfortably with your buddies in this 5 place coach. Today I went to the spooky party and decided to buy a floating candle. But even though it was black and red, it appeared gold and blue! Honestly I didn´t change its colour, and anyway the colour changing tab had disapeared! I think AJHQ is making the game too human. But I think this flipflops are perfect for summer. Wow! This flag used to be a huge rare! I am really sorry for the people who had it. Sorry for the really bad quality. This was sold while I was away in a trip, so it is as an item. It is called freedom mask.